朴文垚(Chinese pronunciation: piao2 wen2 yao2, Korean pronunciation: Park ? ), Chinese pro 9-dan. Born in 1988-04-15. A chaoxian (Korean) nationality minority of China. Ranked 9th in the Chinese Ranking as of August 2011. 1P in 1999, 3P in 2001, 4P in 2005, 5P in 2007. In February 2011 he won the 15th LG Cup and therefore became 9P according to Chinese promotion system, Piao is the 30th 9 dan of the Zhongguo Qiyuan. 2007, Winner of the CCTV Cup. 2009, Runner-up of the 4th World Oza. 2009, Runner-up of the 11th Ahan Tongshan Cup. 2010, Winner of the Chinese National Go Individual. 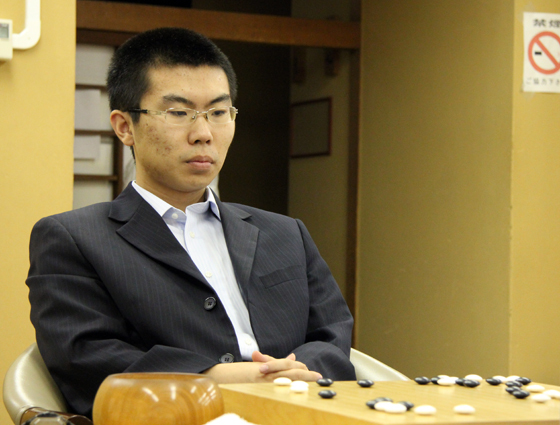 2011, Winner of the 15th LG Cup, with this result he replaces Gu Li to be the youngest world champion of China. 2011, Winner of the 13th Ahan Tongshan Cup. 2011, Winner of the 13th Japan China Agon Cup. 2012, Winner of the 11th Xinan Wang.